A former Marine and graduate of the University of California at Berkeley (1966) and the UCLA School of Law (1969), Lawrence Eric Taylor served as deputy public defender and deputy district attorney for Los Angeles County before entering private practice. He was the trial judge's legal advisor in People vs Charles Manson, was Supreme Court counsel in the "Onion Field" murder case, and was retained by the Attorney General of Montana as an independent Special Prosecutor to conduct a one-year grand jury probe of governmental corruption. Turning to teaching, Mr. Taylor served on the faculty of Gonzaga University School of Law, where he was voted Professor of the Year, served as a Visiting Professor at Pepperdine University Law School, and was finally appointed Fulbright Professor of Law at Osaka University in Japan. With over 44 years of experience, Lawrence Taylor is the author of over thirty articles and 12 books, including the standard text on DUI litigation, "Drunk Driving Defense", 8th edition (N.Y.: Wolters Kluwer/Aspen Law and Business) and "California Drunk Driving Defense", 5th edition (St. Paul, MN: Thomson Reuters/West). He is one of only 5 DUI attorneys in California who is Board-certified as a DUI defense specialist. Over the past 35 years Mr. Taylor has proven a popular lecturer on DUI trial techniques and constitutional issues at over 200 CLE seminars in 38 states, including those sponsored by the American Bar Association, Association of Trial Lawyers of America, National Association of Criminal Defense Lawyers and numerous state bar associations including the California State Bar. 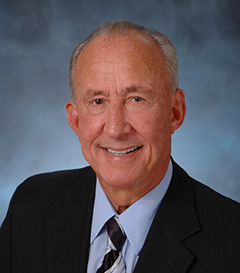 He was one of the original ten founders of the 2100-member National College for DUI Defense, served on the Board of Regents and was elected Dean for 1995-1996. On July 25, 2002, at Harvard Law School, Mr. Taylor was presented with the National College’s Lifetime Achievment Award. Mr. Taylor limits the practice of his Southern California four-attorney firm, Taylor & Taylor, to DUI defense exclusively He is a member of the United States Supreme Court Bar, California State Bar and National College for DUI Defense. He maintains a personal DUI blog with commentary on the defects, fallacies and constitutional damage of the war on drunk driving. For even the most seasoned attorneys, defending DUI cases has always presented special challenges. Drunk Driving Defense provides hard-hitting tactics every step of the way, from the administrative license suspension hearing, to the pretrial investigation, to cross-examination.